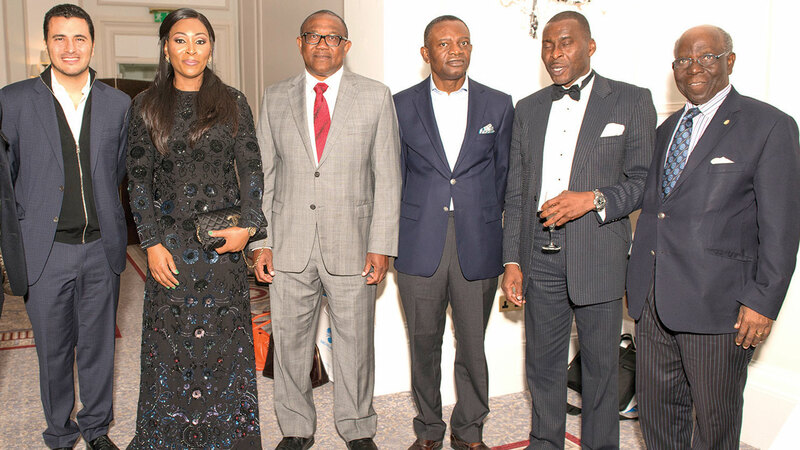 Following increasing demands for housing yearly by Nigerians living abroad, property developers have showcased their residential projects to United Kingdom residents and beyond at a premium real estate forum. The event known as Refined Investor Series (RIS) UK Diaspora and International edition, hosted by Fine and Country, West Africa at the Landmark Hotel in Central London, attracted astute and aspiring investors, provided current market insight current as well as upcoming projects in the residential and commercial segment, at both the luxury and mid market segments. Vice Chairman/CEO, Fine & Country, Udo Okonjo disclosed that “our mission was to create an opportunity for these accomplished professional and business personalities to connect with and celebrate the Nigeria that is emerging, the Nigeria that is possible, which they can get a slice of whether through real estate investment or through buying into a future that we all have a responsibility of building. Specifically, the programme witnessed a review of the state of the economy by co host of the event, Mr. Frank Aigbogun, publisher of BusinessDay, which followed with a brief but inspiring introduction of the vision behind the RIS by Mrs Okonjo, while George Bertz Director of Global Business at Fine and Country Headquarters welcomed guests and exhibitors to London. The journey as a nation, the possibilities and challenges was aptly painted by keynote speaker, Mr. Peter Obi, former Governor of Anambra State who challenged guests to get involved without undue focus only on the problems. Various guests, foreigners and Nigerians in diaspora shared heart felt impromptu messages in support of the vision for the RIS and their positive expectations and experiences on Nigeria. The RIS event further featured the seminar series and an extensive exhibition of prequalified property projects by reputable developers. The seminar witnessed a packed hall with numerous insightful presentations on the economy by Aigbogun again providing more details, the state of real estate in Nigeria was confidently reviewed by Fine and Country’s David Mbah. A presentation on the iconic and visionary Eko Atlantic City was made by Ronald Chagoury, Vice Chair South Enegyx, alongside an overview of lifestyle estates in Abuja by Crown Realties Mr. Darl Uzu, and an inspiring entrepreneurial journey in building a real estate empire by a former Nigerian diaspora investor, Paul Owanibe of Landmark. 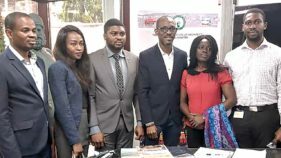 It was capped off with two panel sessions by Bimpe Nkontchou W8 CEO, Richard Obahor of Purple Premium UK, and Adebayo along with other speakers. For the organizers, it was a truly enriching and informative day with high-level deal making and networking.